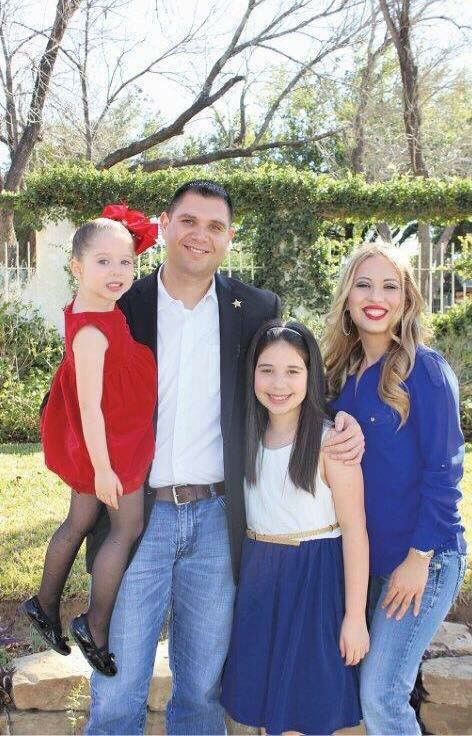 Jesse Gonzalez has dedicated his life to serving and protecting Webb County. He began his career with the Webb County Sheriff's Office in 2004 and served as a law-enforcement officer until the year 2017. Over the course of his thirteen years with the Sheriff's Office, Jesse participated in the D. A. R. E. and G. R. E. A. T. programs as an instructor, educating our youth on the dangers of drugs and gangs. As a sheriff deputy, Jesse also contributed his time as a volunteer little league coach for two years with the Astros. Due to his discipline and dedication to serving his community, Jesse rose to the rank of Captain with the Sheriff’s Office, with 50 deputies under his leadership. Most recently, Jesse serves as the Webb County Commissioner for Precinct 1. Although Jesse is no longer employed by the Sheriff’s Office, he took oath with his fellow law-enforcement colleagues and continues to serve as a reserve deputy, putting on his badge whenever the need arises. Jesse believes that as a leader in his community it is his responsibility to ensure the best quality of life for his constituents. Hence, he works closely with local agencies and community leaders in an effort to build a stronger, more united community. Jesse frequently organizes community events and fundraisers for those in need. He maintains an open door policy and welcomes open communication with all of his constituents.